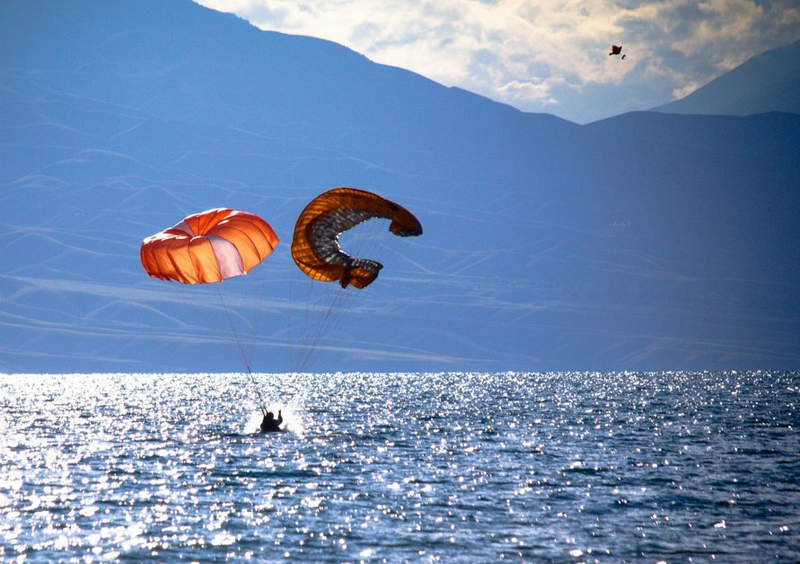 Paragliding is becoming one of the most popular extreme sports in Kyrgyzstan. 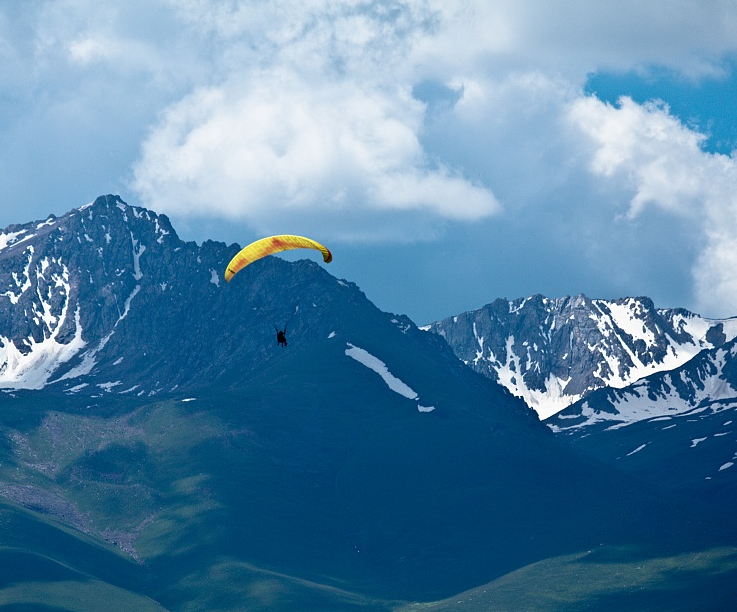 The steep mountains of the Tien Shan and Pamir Mountain Ranges coupled with the country’s gorgeous scenery make it a perfect place for paragliding. 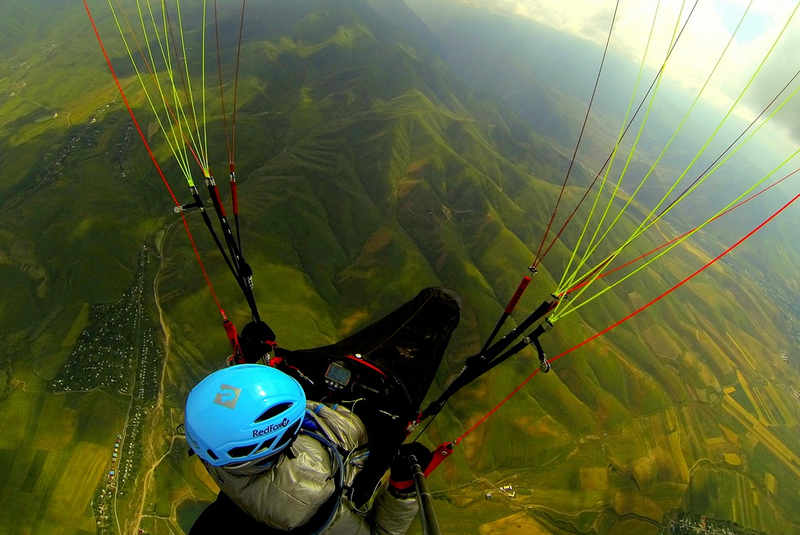 Kyrgyzstan’s weather also lends itself to paragliding. The majority of the year Kyrgyzstan’s skies are clear and sunny and rainfall is infrequent. Flights are available for novice and advanced paragliders alike and can last for up to several hours if just taking a single flight. 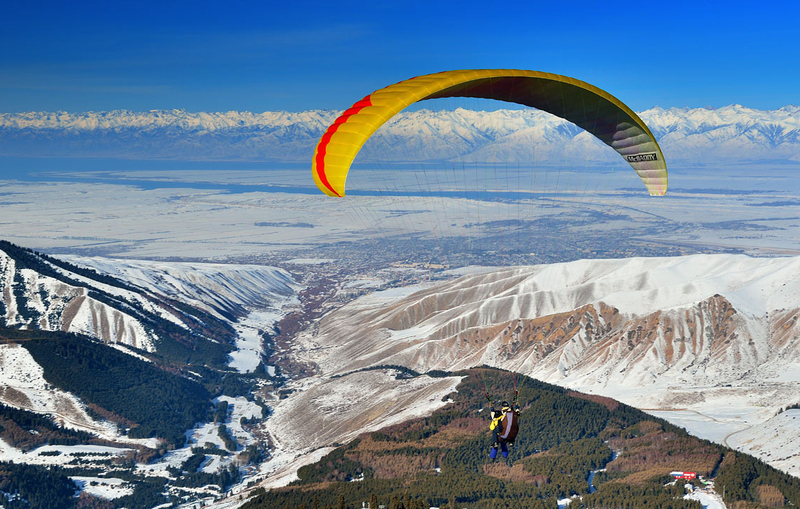 Pre-organized paragliding flights are offered in the following areas in Kyrgyzstan: Chon-Tash, Karakol, and Suusamyr Valley. 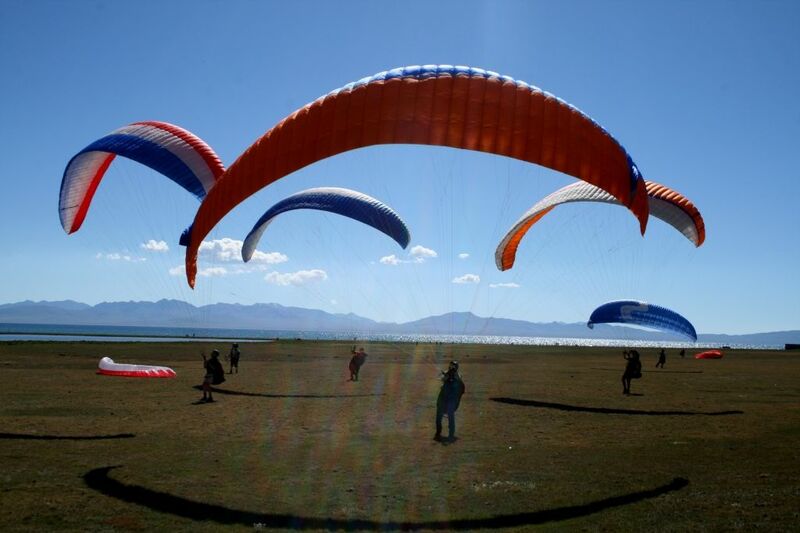 Paragliding tours of Kyrgyzstan are also available. You can choose different areas around the country that have good take-off spots (not hard to find in a 90% mountainous country), and see the country from different aerial vantage points. For those looking for a more extreme experience, you can combine paragliding with hiking/skiing. 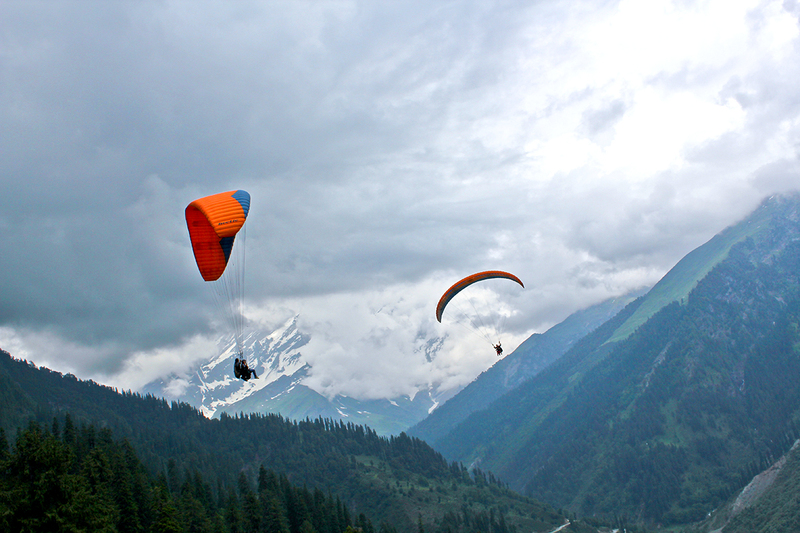 Some people prefer hiking up to a mountain peak, then paragliding down. You can also paraglide down a mountainside wearing skis so that when you touch down, your skis carry you the rest of the way- best of both worlds! 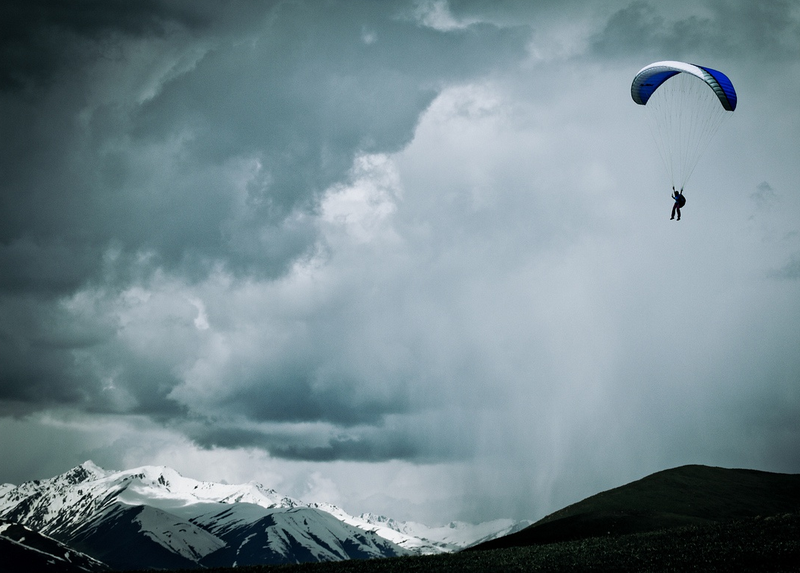 Whether it’s a single flight, a tour of the country, or an adrenaline rush, paragliding in Kyrgyzstan holds something for everyone.